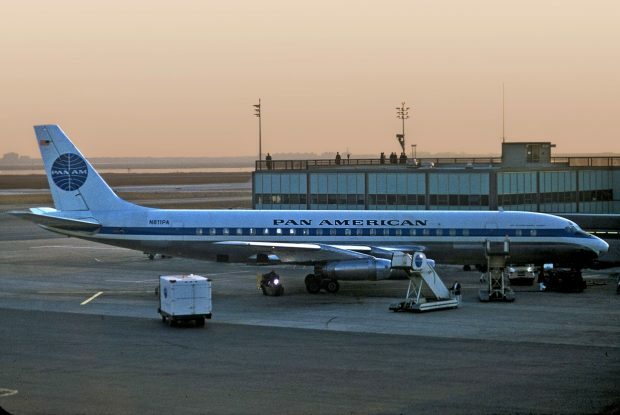 You might notice the silhouetted figures of several individuals on the roof of the building above and behind the photo of this Pan Am DC-8-33 taken in the 1960’s. They are members of the public enjoying what was once the largest observation deck at JFK International Airport. It encompassed all of the International Arrivals Building (IAB) and its East and West Wing, including piers, for over a decade after the terminal’s opening in 1957. By the 1970s, all that remained of the original IAB deck was a small section in what was called the “center of the U” in the central part of the building across from the control tower. It too was finally closed in the 1980s. One other excellent place for public observation of JFK flight operations existed after 1973; the rooftop parking lot of the Pan Am “Worldport” terminal, which was the now-demolished Terminal 3. From here there were excellent views all around of takeoffs on the long “Bay Runway” (13R-31L), ramp action at the Pan Am terminal itself, and then the West Wing of the IAB and the Northwest/Delta terminal (now T-2) on either side. As security concerns mounted at Pan Am during the second half of the 1980s, a large fence with panels eliminated the view from the Worldport roof almost entirely. Today, there is an open-air section of the new Delta Terminal 4 extension, but it is located post-security and open to Delta Sky Club members only. In a sad sign of the times, no dedicated viewing areas remain at John F. Kennedy International, though the developer’s plans for the upcoming TWA Hotel at Terminal 5 include mention of a 10,000 square foot public observation deck. 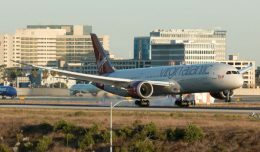 When the father of a four month old boy was given a small package containing a flight log onboard the child's first flight, little did he know it would spark a lifelong passion for commercial aviation. Nice article. I remember the observation deck very well. When I frequented it in the 1960’s both IDL (later JFK) and EWR had a 10 cent fee for access. They also had a box that for a quarter you could “hear the control tower” until I realized it was a recording not live. I was also in the “audience” (upper gallery) when IDL was dedicated to be JFK. They said they did not have all the letters of the exterior sign that would say John F Kennedy International Airport, but they did unveil the three letters J F K. Ted Kennedy spoke at that event. About 2 years later, I was in a school (a college visit since I was a teaching major) and happened to leaf thru a history book, and saw a picture of the dedication that I attended, and I felt I was way to young to have been present at an event that is published in a history book. I remember great hamburgers at the snack bar in the “temporary old terminal” that National used while they built their own terminal. I had an even more geometric (I was always a math geek) appreciation of the Eastern terminal. Entry was via ramps, and those ramps of marble (or marble like) were suspended from the ceiling by steel cables and was a great geometric design. I even recall seeing it pictured in one of the geometry books from High School. You would make another good columnist for NYCaviation.com, Lester, in my humble opinion. You know NYC area commercial aviation history and you have a winsome way of communicating it. Thanks for the great memories Shea. As a youth, I visited the old IAB deck but snuck under the 10 cent turnstile. All I saw was Lufthansa aircraft. Somehow I learned about the Pan Am Roof from somewhere and I fell in love with the views. 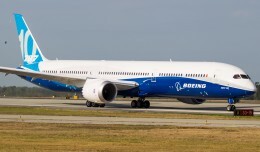 All operations were visible except for arrivals on Rwy 13L/31R. Air France Concordes, Aeroflot, Tarom, El Al and much, much more. As a bonus, food services and restrooms were just a short elevator ride away. No security guards hassling me except once by El Al as they spotted me changing films hidden under my jacket with the antenna of my scanner in plain sight. All good things must come to an end, After the attack on Pan Am 103, wired-off, visitors no longer were able to visit the Roof and cars were banned as well. I was devastated. I have 100s of photos in storage albums from that place. No place now at JFK welcomes spotters; we get chased away and questioned. When I smell jet fuel I always remember the great times on the Pan Am Roof. I fear the public observation deck at the new TWA Hotel will only be for hotel guests; I cannot see them letting in hundreds of spotters for free. On a different note, do you build and collect model aircraft? Since my stroke, I gave up building models so I must purchase the snap-together models. I am going nuts trying to get models of the KAL and SIA A380s; I have tried everywhere but they are elusive. E Bay has them for hundreds of dollars, beyond my means. Such a shame observation decks are rare these days. Also a shame that aircraft are so similar these days! Thanks for your site, just discovered it and I enjoy it! Yes, if I see one more twin-jet, with wing mounted engines, I think I’ll scream. I fondly remember my visit to the JFK Control Tower observation deck late one Saturday afternoon in the spring of 1971. No less than eight TWA 747’s were arriving & departing around the TWA terminal and I always wondered how such a small terminal could handle such and onslaught of passengers! 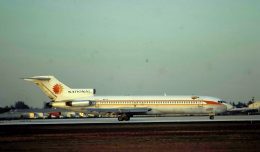 The observation deck in the old terminal at Newark airport stretched the length of the terminal and had a equally long wooden bench that seemed straight out of a railroad station. Thankfully some newer airport terminals are including observation decks. My current local airport, Manchester Boston Regional airport has an excellent observation deck in the corner of the main terminal building and another fine observation area outdoors across the field by the Aviation Museum of New Hampshire. Now if they could only build traffic back to 2001 levels…..
8 747’s at once at the TWA “Flight Center”…Even with the “Flight Wing One” expansion opened the previous year, and even though 747 load factors were low in 1971, I cannot imagine the chaos. 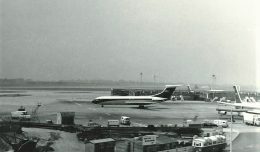 The old North Terminal at Newark was a victim of the wrecking ball in 1997. GrayMatter Airport Analytics (AA+) solution is game changer that delivers measurable value to airport management teams, covering airport busniess, finance, operations, business intelligence(BI), predictive data analytics. https://uploads.disquscdn.com/images/924c4797261fd3043dd65cf1576045a4cb29b90ddc33d0b9862507eed5b819b4.png Ah yes. 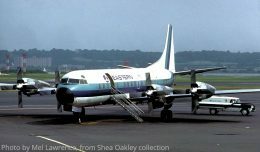 It was 1963 as we took our first family flight to Ireland. My brother and I found every access stairway to the rooftop! We ran all over that rooftop especially the east side of the International Arrivals Bldg. Aer Lingus had their gates and check-in at that far end. I remember cops chasing us because we were into EVERY nook and cranny! It didn’t stop there as we had family members in San Francisco who also go to Ireland and when they did they would have a lay-over at JFK. My goodness all of us running all over no regard for security.About the only place we didn’t go was onto the ramp proper! 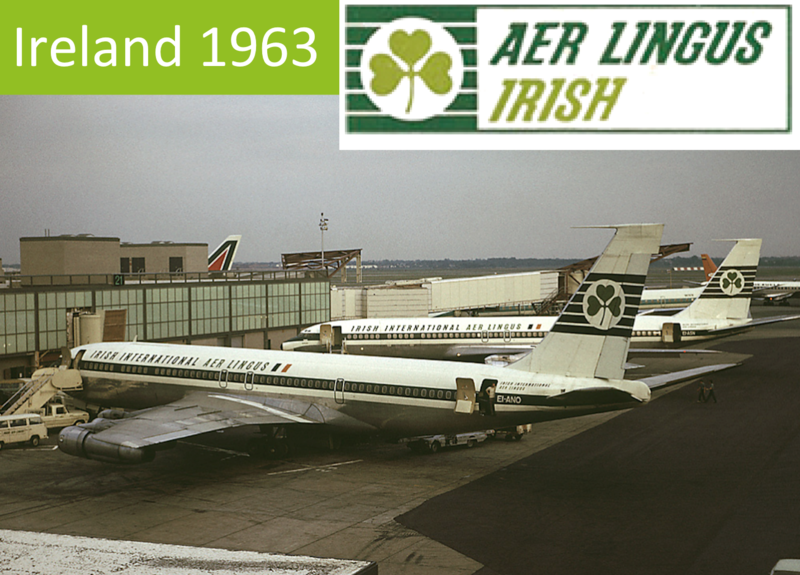 It continued till up at least thru 1972 when instead of 707’s we were flying to Dublin on a Aer Lingus 747!